BASIC Bank Limited, a state-owned specialised bank, is planning to make its operational profit double by crossing Taka 80 crore this year as the bank made Taka 43 crore operating profit in the last calendar year. "Our Taka 43 crore profit of last year indicates that we are gradually performing well by bringing back the confidence of depositors," BASIC Bank Managing Director Muhammad Awal Khan told BSS on Wednesday. According to official data, the bank earned Taka 43 crore operating profit last year, which is Taka 34 crore higher than the previous year. The state-owned bank faced loss in 2014 and 2015, but it made operating profit of Taka nine crore in 2016. Awal Khan said the main goal of the bank is to make profit by reducing expenditure and providing quality investment. "The officials and employees of the bank are doing their best to cut the cost of deposit, administrative cost and other expenditure for making profit. That's why non-interest income increased in the last year" he said. About Non-Performing Loan (NPL), the BASIC Bank Managing Director said the bank is going to take a three-year plan to bring its huge amount of NPL at a tolerable level. The total outstanding loan amount of the bank is Taka 14,556 crore while the amount of NPL is over Taka 7,411 crore. "We're working to set a plan to cut at least 10 percent NPL of each branch of the bank in 2018. We will finalise the plan in the next board meeting," he said, adding that if the bank can implement its three-year plan, it will be able to bring the NPL at a tolerable level. "We’re getting cordial support and guidance from the government, Bangladesh Bank and the board of directors (of BASIC Bank) in this regard." Awal Khan said the rate of recovery is now better than before as the bank’s officials are working to speed up its recovery process. Noting that the specialised bank is now focusing on the small investment as the rate of recovery of the investment is good, he said small investment is better than the big investment and the bank is also looking for quality investment. 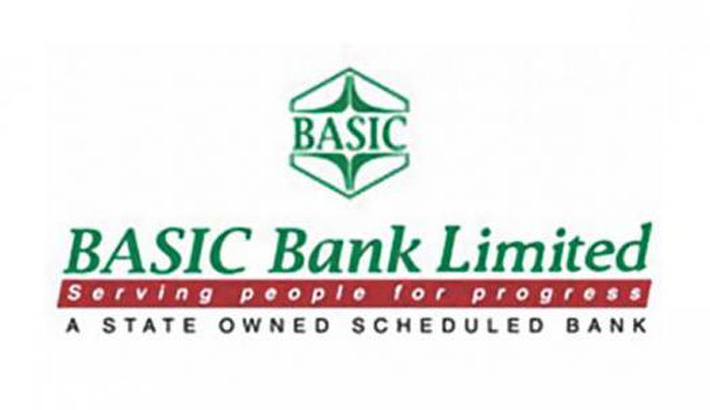 BASIC Bank is a fully government-owned bank in Bangladesh which was founded in 2 August 1988. The bank was established as the policy makers of the country felt the urgency for a bank in the private sector for financing small scale industries. BASIC Bank is unique in its objectives, which is a blend of development and commercial banks. The bank earlier lost the confidence of the depositors as the rate of its NPL has become about 50 percent of its total outstanding loans. The bank rescheduled Taka 4,000 crore loans so that the borrowers can back their money easily but loans of around Taka 2,000 crore have made classified again.